It was first identified as Lybska Svan (Swan of Lubeck), the huge carvel-built flagship of Gustav Eriksson Vasa. He was the man who ejected the Danes from Sweden in 1523 and became King, 'Landsfather' of a Swedish nation state that was to become a major power in northern Europe. In 1991 the wreck was inspected by archaeologists Johan Rönnby and Peter Norman (then of the Swedish Central Board of Antiquities) and Jon Adams. It was clearly a vessel from exactly the right time period but seemed rather small to be the Swan (Adams, Norman & Rönnby 1992). Gustav Vasa had obtained a fleet of ships from Lübeck with which to fight the Danes in 1522 and the Swan cost nearly three times that of any other ship (Glete 1977:37). For simplicity we called this one the 'kravel' (Swedish for 'carvel'). Though not the Swan it was nevertheless a highly significant find. Changes in the design, construction and use of ships at this time set shipping on a trajectory from which it did not deviate in fundamental aspects until the 19th century. The Stockholm County authority contracted the above named archaeologists to carry out a preliminary survey, along with the commercial diving company who had discovered the site. This never happened because of the attempted sale of two bronze guns with forged documentation. The police established an apparent connection with the divers who had found the wreck and therefore suspected that the guns had been illegally removed from the site (all underwater sites in Sweden, including wrecks, are protected by the same legislation that protects archaeological sites on land). By March 1994 the police investigation was completed and the company concerned had ceased trading. A new research proposal was submitted to the Stockholm authorities (Adams and Rönnby, 1994). 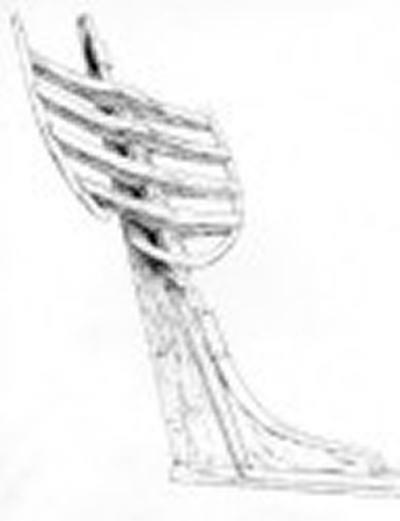 The research design involved comprehensive survey of the hull structure and associated material so that a reconstruction could be attempted using computer technology. The investigation was to be non-intrusive at this stage. In effect we aimed at 'virtual salvage' leaving the wreck itself in its relatively safe and stable environment. We also wanted to look at the use of this ship in the context of its own rapidly changing and dynamic times. As a powerfully armed, prestige vessel, it was presumably owned by someone of corresponding status, perhaps a key player in Europe's transition from the medieval to the modern age?